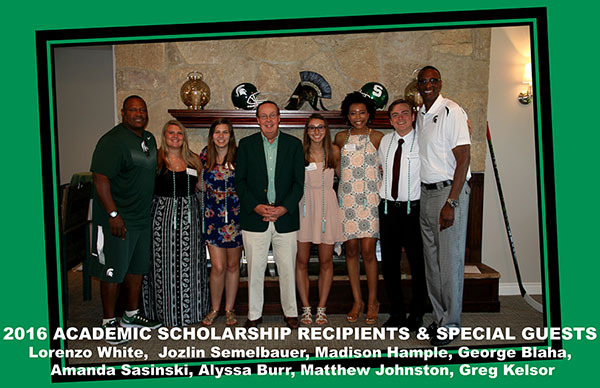 Because of your support of our annual golf outing and the commitments by the Arnson, Pedler, Bailey and Kendra families, we are please to award these students with scholarships for 2016. MADISON HAMPLE, daughter of Stephanie and Chris, graduated from Orchard View High School, where she served as Founder & President of the Orchard View Environmental Club, Four year Drum Major & Section Leader for Orchard View Bands, and Section Leader at Blue Lake Fine Arts Camp. Madison will be studying Animal Science at MSU. Her goal is to become an environmentalist or veterinarian in order to preserve & improve the beautiful wildlife and stunning natural resources of the Muskegon Lakeshore area. 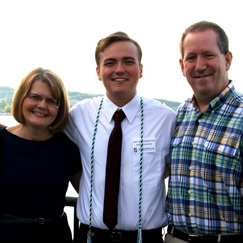 MATTHEW JOHNSTON, son of MSU Alums Jackie and Jeff, graduated from Reeths-Puffer High School, where he was a member of the National Honor Society, IMPACT student leadership group, Trinity Lutheran Praise Team, and held major roles in the plays Godspell, Scapino, and The Wizard Of Oz. Matthew plans to study Computer Engineering at MSU with the ultimate goal of leveraging biotechnology in order to positively impact progress toward the treatment and cure of schizophrenia. where she active in National Honor Society, IMPACT student leadership group, Straight Talk About Tough Stuff , and held offices of Treasure & Vice President on the Student Council. 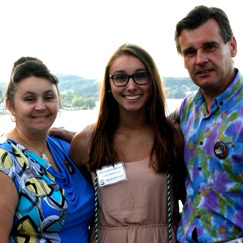 Her studies at MSU will guide her toward a degree in the medical field, possibly as an optometrist. 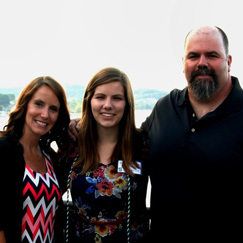 Amanda is the second Sasinski Spartan to be awarded a scholarship by the Muskegon Lakeshore Alumni Club. 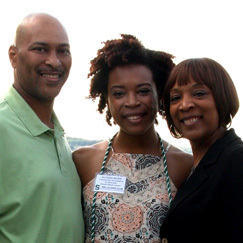 Her sister, Anika, received a scholarship in 2014! tonight’s ceremony with her guardian, Darryl. Jozlin’s extracurricular activities at Orchard View included Student Council, Concert & Marching Bands, and JV & Varsity Softball. In addition, she was the Co-Captain of the Snow-Coming Committee. Jozlin’s major at MSU will be Human Biology. She is excited to become immersed in MSU’s many clubs and activities and intends to pursue a career as a Neonatologist. 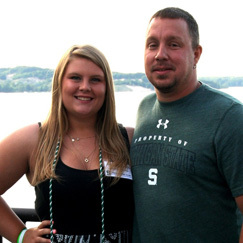 ALYSSA BURR, daughter of MSU Alumna Andrea and father, Steven, graduated from Muskegon High School and selected MSU for its ability to pair her bubbly personality with the most appropriate major as well as an opportunity for personal growth. In high school, she was a member of the Volleyball Team and National Honor Society while also working up to 40 hours per week. Alyssa will study Journalism at MSU and looks forward to discovering the many clubs, groups, and organizations offered as part of campus life. ALYSSA BURR has also been awarded the $500 Gene Kendra Book Award, named in honor of longtime Club member Gene Kendra. We congratulate these students in their pursuit of excellence in education.